The best thing about friends is they're there when you need them, and Man's Best Friend is no no different. 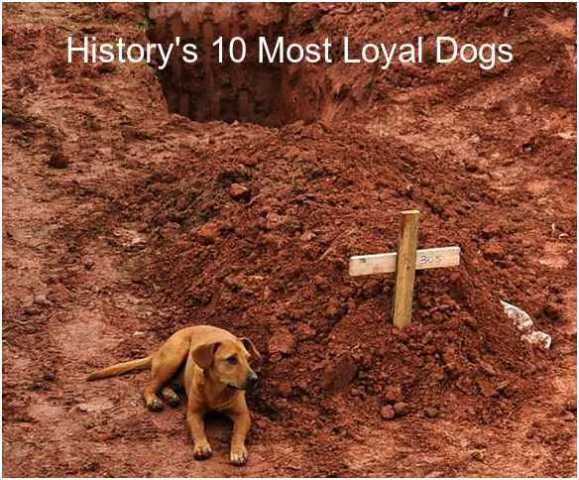 These 10 remarkable dogs are famous for displaying loyalty that goes above and beyond what anyone might expect. Not all of them have had statues erected in their honor but you'd better believe each one of them is deserving. 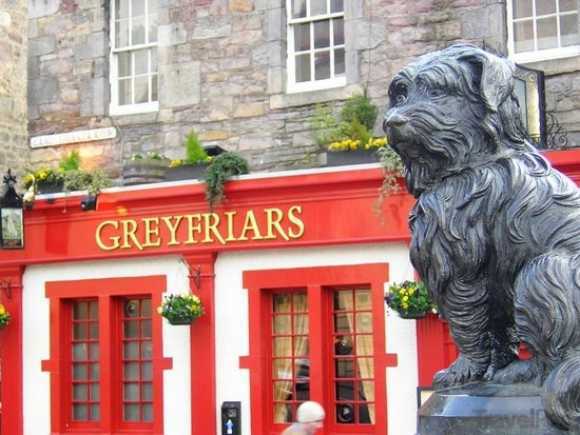 When it comes to dogs famed for their loyalty, Greyfriars Bobby remains outstanding in his... graveyard? Bobby was a Skye Terrier who guarded the grave of his owner, an Edinburgh policeman and night watchman named John Gray, for 14 years until he himself passed on in early 1872. A 1912 novel by Eleanor Atkinson and several movies have assured Bobby's place in popular culture but his legend may not be what it purports to be. Author Jan Bondeson researched Bobby's story in detail for his 2011 book “Greyfriars Bobby: The Most Faithful Dog in the World”. In January of 2011, southeastern Brazil was pummeled by severe rainstorms which caused catastrophic landslides. Hillsides collapsed without warning and entire villages were swept away in one of the country's worst recorded natural disasters. Upwards of 600 people lost their lives, including Cristina Maria Cesario Santana of Teresopolis, a mountainous municipality near the city of Rio de Janiero that was one of the hardest hit areas. 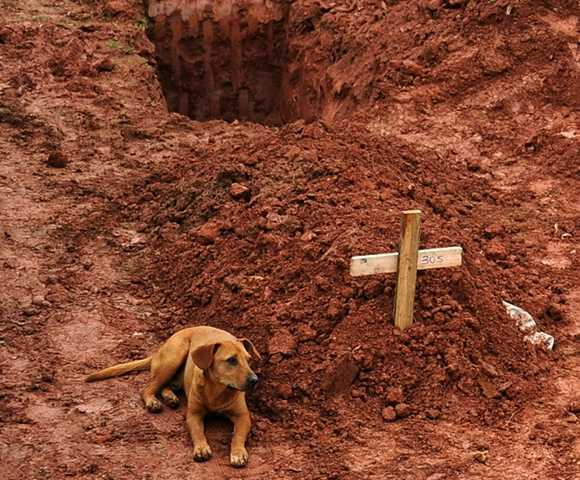 Rescuers noticed Santana's dog Leão (“Lion” in Portuguese), digging in the mud – his owner's body (along with those of 3 other deceased family members) were subsequently discovered and formally reburied. Leão then waited at the grave site for several days before volunteers gently removed him, fed him, and treated him for exposure. Wang Cai isn't your average Chongqing street mutt – he wears fashionable winter jackets in cold weather and spends nights safe and warm in his owner's nearby condo. In summer his coat appears trimmed, brushed & glossy. Things weren't always so cozy for the pampered pooch, however. His owner found him 4 years ago wandering the streets without a collar and gave him food, shelter and lotsa luv. Wang Cai appreciates his new lease on life and his new luxurious lifestyle, and he's not afraid to show it. 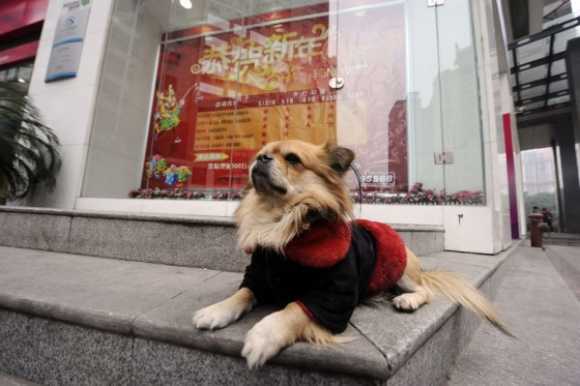 After following his owner to her job at the Minsheng Bank each morning, Wang Cai stakes out a suitable resting place outside the front doors and hunkers down for 8 solid hours. “Bobbie the Wonder Dog” of Silverton, Oregon, was a 2-year-old Scotch Collie and English Shepherd mix who became a major media sensation in the 1920s. Bobbie was lost in late 1923 while he and his owners, the Brazier family, were on vacation in Indiana. By February of 1924 the Braziers still hadn't gotten over the loss of their beloved pet when suddenly a scrawny, mangy, wear-footed Bobbie appeared on their front doorstep. It appeared that Bobbie had managed to travel the approximately 2,800 miles (4,100 km) between where he disappeared in Indiana to his home in Silverton in about 6 months – in the dead of winter! The distance is roughly equivalent to that of 18 Ironman races. Fido was a 2-year-old mixed-breed dog from Borgo San Lorenzo, Italy (just outside Florence), who was found by brick kiln worker Carlo Soriani lying injured in a roadside ditch. He and his wife patiently nursed the dog back to health, eventually naming him “Fido” which means “faithful one” in Latin. 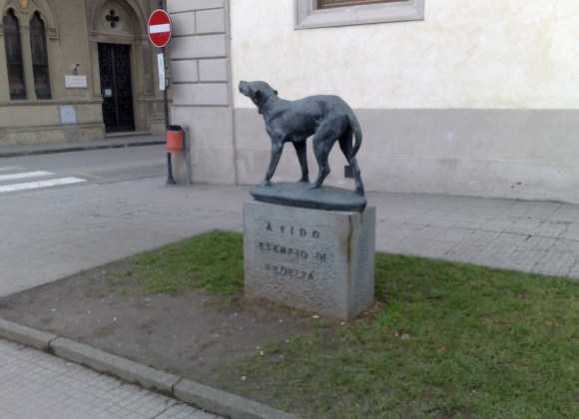 True to his name, Fido began accompanying Soriani to the central square bus stop in Luco del Mugello (a frazione of Borgo) each working day and meet him there upon his return. One day in 1943 everything changed for Soriani and Fido – the RAF conducted an aerial bombing raid over Borgo San Lorenzo and Carlo Soriani was one of the casualties. Once the rubble was cleared, life went on pretty much as it always had with one exception: Fido made his trips to and from the bus stop alone. Arguably the most famous dog in Indian history, Waghya was a mixed-breed sight hound belonging to Chhatrapati Shivaji Maharaj, founder of India's vast Maratha Empire and rival to the Mughal Empire. Waghya was said to be Shivaji's constant companion, and his presence was much appreciated by Shivaji, a champion of justice, loyalty and fidelity. After Shivaji died in the year 1680, he was given a lavish Hindu funeral which culminated in the burning of his body atop a funeral pyre. Legend has it that Waghya, distraught at the sight of his master's body going up in smoke, leaped onto the burning pyre and thus self-immolated himself. Navy Seal Jon Tumilson was one of the 30 soldiers who perished on August 6th, 2012, in Afghanistan when their helicopter was shot down. Among the many mourners who attended Tumilson's funeral on August 19th in his hometown of Rockford, Iowa, was Tumilson's chocolate-brown Labrador Retriever, Hawkeye. According to some of the approximately 1,500 attendees at the memorial service reported that when the service began, Hawkeye followed Tumilson's good friend Scott Nichols to the podium, heaved a great sigh, and stretched out on the floor before the flag-draped casket where he remained until the service ended. Lao Pan, a single man from the Chinese village of Panjiatun near Qingdao, devoted most of his time in his waning years to ensure his mixed-breed yellow dog was happy and healthy. When Lao Pan passed away in November of 2011 at the age of 68, no one mourned more than his dog. It seems that after Lao Pan's modest funeral his rented room was cleared out but nobody could find his dog. Sometime later, the dog turned up at the cemetery and was seen to be guarding Lao Pan's grave. How the dog knew the grave was Lao Pan's is anyone's guess. Life was tough during the Great Depression and few had any sympathy when a nameless Montana shepherd fell ill and managed to make it to St. Clare Hospital in Fort Benton. The man's sheepdog had followed him to the hospital and refused to leave – a kind nun there fed the equally nameless dog out of the goodness of her heart. The dog's owner did not recover from his illness and passed away, and when the man's family back east was informed of his death they requested his body be shipped to them by train. As the man's coffin was loaded onto the eastbound train, his dog suddenly appeared and tried to board the boxcar but was firmly pushed away. Whining, the dog sadly trotted away... and the next day when another passenger train pulled into the station, there he was to meet it. Perhaps the world's most famous faithful dog, Hachiko's legend has been told in books, a 2009 film starring Richard Gere titled Hachiko: A Dog's Story, and by word of mouth in Japan and around the globe. Hachiko was an Akita dog born in late 1923 and acquired early the next year by Hidesaburo Ueno, a professor at the University of Tokyo's department of agriculture. Ueno and Hachiko quickly established a workday routine: Hachiko would accompany the professor to nearby Shibuya Station, return home on his own, and appear at the station again in time to meet the professor as he exited the station. So it went until one day in May of 1925 when Professor Ueno suffered from a fatal cerebral hemorrhage and thus did not return to the waiting and unknowing Hachiko. Professor Ueno's loyal pet continued to wait for him at the east exit of Shibuya station every day thereafter until March 8th of 1935 when his deceased body was found on a side street. The bronze statue of Hachiko outside Shibuya Station's east exit has become famous itself as a reliable meeting place in downtown Tokyo.